Is Wood Flooring in the Bathroom a Good Idea? Hardwood is a better bathroom flooring choice than, say, carpet, but it can still be very problematic. Moisture kills hardwood, and a bathroom is probably the most humid area of the entire home. Showers in the morning, warm baths for the kids in the evening… bathtub overflows, spills and splashes can severely damage the floor. Your new Face of Wood hardwood floors can maintain their strength and beauty for years, especially with a little help from you. 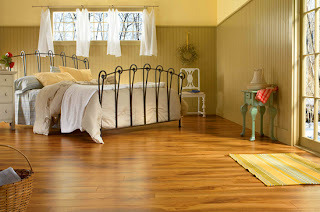 Here’s some great tips our team has put together to help you maintain your new Hardwood Floors. When investing in a new floor, many homeowners are faced with a choice between hardwood and laminate. The difference between these two types of floors can be confusing at first, which is why we put together a simple guide that compares hardwood against laminate, highlighting the pros and cons of each floor type in terms of appearance, durability, longevity, ease of maintenance and repair, and eco-friendliness. Since the introduction of laminate flooring into the US in 1982, the sector has experienced growth of up to 20% per annum at the expense of other floor types, making laminate the fastest growing floor type in the country. The appeal lies not only in its aesthetic value of its representation of real hardwood, but also due to its incredible durability and ease of maintenance. Pergo were the first company to introduce laminate flooring into the U.S, and held the majority share of the consumer market for many years. As the popularity of laminate flooring grew, new players began entering the market and quickly gaining market share. Today there are hundreds of brands available to the consumer, some good quality and some inferior. With all the latest advancements in laminate technology, it seems that a new style is being introduced almost every week, making it a daunting task for the consumer to determine which floor best suits their needs. Laminate flooring faqs are asked by people who are interested in home improvement projects, who are building a home and who are just interested in learning about this flooring option. If you are interested in laminate flooring then the following question and answer sets should help you to understand what laminate flooring is and how it can be used. 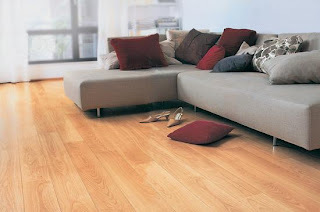 Answer: Laminate flooring is a composite flooring product that is made up of a various layers. Each layer serves a specific function. There are layers for sound muffling, shock absorption, moisture protection and decoration.